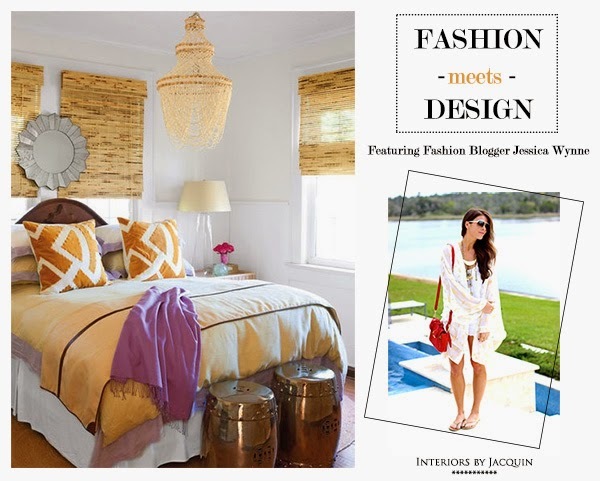 I’ve been eagerly waiting to debut the newest Interiors by Jacquin series, Fashion meets Design! Each month I will feature a guest fashion blogger or stylist who will bring their style interpretation to an interior design image that I provide for their inspiration. Let’s see what look fashion blogger Jessica Wynne was inspired to create based on this bohemian-chic bedroom design, including links to shop the look! Hi there! I’m Jessica Wynne, an attorney by day and the fashion blogger behind For the Love of Bubbly. I live in Jacksonville Beach, Florida and Vail, Colorado with my husband Chris (the man behind the lens) and our two dogs Sadie and Luna. For the Love of Bubbly is a creative outlet where I can share my personal style, love of fashion, travel adventures, and even photos from my recent wedding in Colorado. 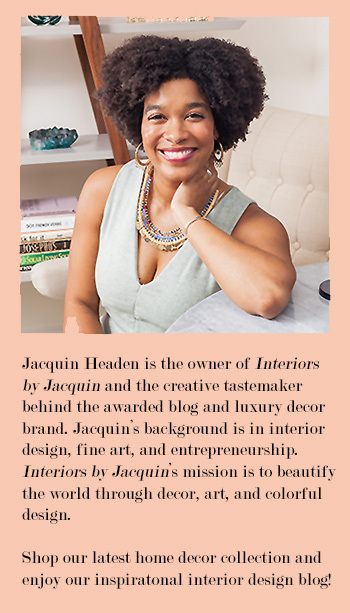 I am so excited to partner with Jacquin for my first post about interior design. My style is somewhat eclectic. I love changing up my look – It is one of the things I love most about fashion! I like to go boho, glam, casual – But no matter what I am wearing, it is always feminine. I was so inspired by this particular room because it combines all of the different types of styles I am attracted to. The chandelier and window shades give the room a boho look. 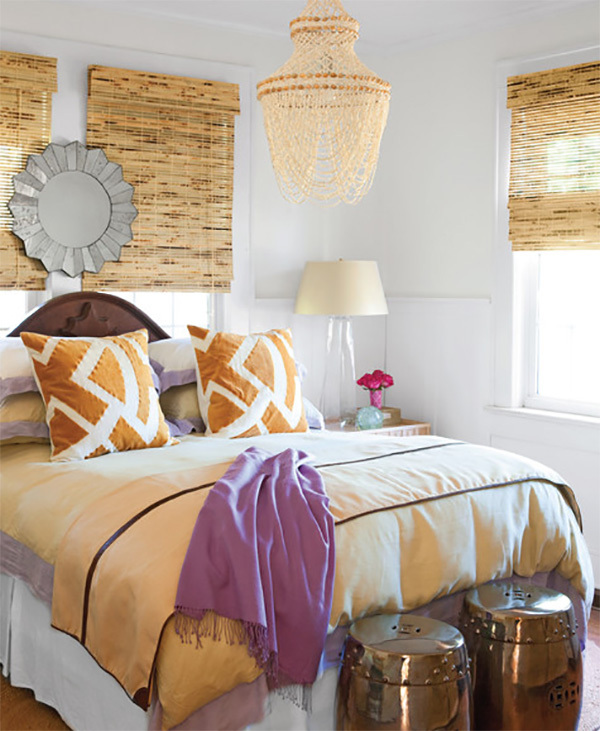 The mirror, lamp, and stools make the room glamorous. Finally, the pillows, relaxed throw, and the fact that it is a bedroom give off a casual vibe. It reminds me of a room I would see in a house in my beach town! All of these elements inspired the look I am wearing. I styled the white and gold kimono with casual all white to mirror the colors in the room. I added the red bag for a fun pop of color, much like the pink throw and flowers. I topped the look off with one of my favorite necklaces to give it both a boho and glam look. I hope my look serves as a source of fashion inspiration for you! So, who is loving the newest Interiors by Jacquin series, Fashion meets Design?